While it is generally agreed that volume replacement is one of the most important aspects of the treatment of septic shock, the choice of the volume substitute continues to be the subject of controversy. 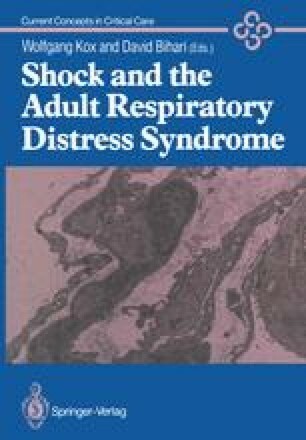 In this chapter we shall review some of the more relevant literature concerning volume replacement and the pathophysiology of septic shock. In addition, new aspects of hyperdynamic endotoxaemia evolving from a recently developed experimental model in the pig are discussed with respect to the effects of volume substitution using either Ringer’s lactate or dextran 60.